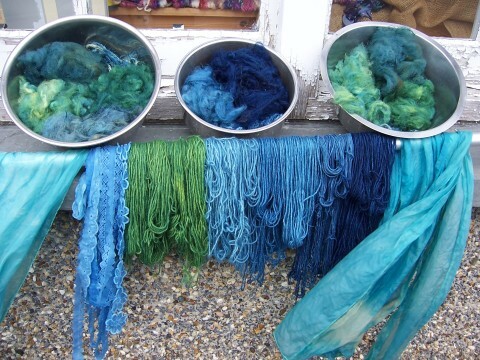 Learn how to make blue dye with WOAD and over dye yellow for glorious greens. You will dye fabric and yarn with the opportunity to create a unique silk scarf. Woad seeds available.